All submissions should contribute to improvement or should enlighten a particular aspect in any of the above mentioned subjects. Every submission should adhere to the journal format and style, legibly written in good English, comprehensive, concise and complete. It is essential that authors prepare their manuscripts according to established specifications. Failure to follow them may result in papers being delayed or rejected. Therefore, contributors are strongly encouraged to read these instructions carefully before preparing a manuscript for submission. The manuscripts should be checked carefully for grammatical errors. All papers are subjected to peer review. Research papers should present new experimental studies in elaborate form that constitute a significant contribution to knowledge. Research Papers should not exceed 10 pages. Short communications are the one that should present new important findings in a brief form, a maximum of 5 pages including illustrations. Review articles should bring up the most important current topics or present interpretative and critical accounts, but not simple compilation, on subjects of general interest. They should be around 12 pages. The decision to accept a contribution rests with Editor-in-chief and associate editors which reserves the right to make alterations in manuscripts submitted for publication if they do not conform to accepted scientific standard or if they are too repetitive. All long papers need sub-headings. The author needs to conform to his/her own area of expertise pertaining to the theory or grounds of knowledge covered, and must incorporate a chronological arrangement of ideas and methods when reporting on the research done. Manuscripts should be neatly typed, single-spaced throughout, including tables, graphs, figures. Manuscript should be on A4 size with at least 1.5 cm margins on all sides. Page numbers should be given accordingly. Prepare the manuscript in Times New Roman font using a font size of 12. Title shall be in a font size 14, bold face capitals. All Headings in the manuscript shall be in font size 12, bold face capitals. Subheading in each section shall be in font size 12, bold face lower case. Italic fonts style should not be used in the main text (Except Latin names or wherever applicable). Standard International Units could be used throughout the text. Authors should not be more than five including corresponding author. 1. Title must be brief and comprehensively represent the findings and description as written in the abstracts. Do not use abbreviations in the title or abstract and limit their use in text. 3. Address of each author, the author for correspondence & author for reprints must be identified. 4. Do not put Dr., Mr., Mrs., Prof. Etc. before names. To identify the most important subjects covered by the article. (6-7 keyword max.) Authors should not break of or hyphenate words. A concise account or a preview is required from the background of the subject, its significance and its relationships to earlier works clarified with pertinent references. Clearly state the purpose of the article. Do not review the subject extensively in the introduction. Should be presented with sufficient clarity and detail. The section of Experimental in Full Length Papers should include concise details on the methodology adopted; sufficiently elaborate to repeat the experiment. Data must be adequate and experimental design should be proper and accurate. Methods for which adequate references from published work can be cited are not to be described. All Physical and Spectral data should be reported. Method of Analysis should be validated. Experiments on human subjects are to be done in accordance with the Indian Council of Medical Research (ICMR) protocol or approved by an Institutional Ethical Committee. For the care and use of laboratory animals, the Ministry of Social Justice & Empowerment, Government of India and OECD notified guidelines should be strictly followed. All possible effort must be made to give mechanism of reactions. Use System International (SI) Measurements. Cite instruments details e.g. UV, IR, NMR, MS etc. Model, company, place etc. at appropriate place (If any). Rationale for selection of certain solvent extracts of herbs/plants along with characterization (by way of spot tests, TLC pattern etc.) of such extracts evaluated for any activity should form part of manuscript. Use of positive and negative controls in experiments should be highlighted. In case of natural products articles, plants name should be italic. The original and important findings should be stated in a logical sequence. Illustrate the results with figures or tables where necessary, but both must be kept to the minimum and should be cited as per the sequence given above. Result must be precise and comprehensive and should not suffer from vagueness. The principal conclusions drawn from the results and their important implications should be discussed. Do not repeat in detail data already stated in results. Recommendations where appropriate may be included. 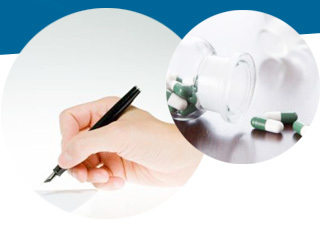 Use generic names of drugs only unless the specific trade name of a drug used is directly relevant to the discussion. Sources of support in the form of grants, equipment, drugs as gift samples may be included. Only scientific personnel who have made substantial and essential contributions to the study should be acknowledged. Authors must state clearly the name and address of the expert (for botanical verification) who has authenticated the plant material, or botanical specimen. References to brand names obtained for research may not be referred in the text. Devi KV, Pai RS. Antiretrovirals: Need for an Effective Drug Delivery. Indian J PharmSci 2006; 68:1-6. List the first six contributors followed by et al. Issue with supplement: Payne DK, Sullivan MD, Massie MJ. Women’s psychological reactions to breast cancer. Semin Oncol 1996; 23(1, Suppl 2):89-97. Tables - Should be typed on separate sheets of paper. Only MS word table format (With rows and columns visible) should be used for preparing tables. Tables should be numbered consecutively in Arabic numerals and bear a brief title in capital letters normal face. Units of measurement should be abbreviated and placed below the column headings. It is essential that all tables have legends, which explain the contents of the table. Tables should not be very large that they run more than one A4 sized page. Figures - Should be on separate pages but not inserted with in the text. Figures should be numbered consecutively in Arabic numerals and bear a brief title in lower case bold face letters below the figure. Graphs and bar graphs should preferably be prepared using Microsoft Excel and submitted as Excel graph pasted in Word. As far as possible, please avoid diagrams made on white drawing paper, cellophane sheet or tracing paper with hand written captions or titles. In case of photomicrographs, magnification should be mentioned either directly on them or in the legend. Symbols, arrows or letters used in photomicrographs should contrast with the background. For the articles or papers which authors submit for publication in IRJP Journal, you would not be charged any publication fees. Only on acceptance of the manuscript after peer review, authors will require to pay web maintenance, processing and editing fee (Rs 3500.00 for Indian author & USD 150.00 for foreign author) for which a mail regarding payment details and mode of payment will be communicated to the authors by editor-in-chief of the Journal. Currently no waiver policy exist.